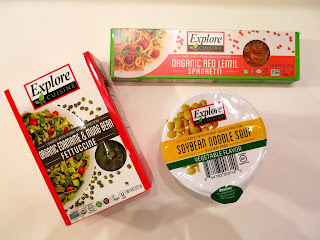 Explore Cuisine, the leading alternative pasta brand, just came out with a bunch of new products and I was excited to try three of them. Their Pulse Pastas are made from organic lentils and chickpeas, which makes them high in protein and a great source of fiber and iron. Flavors include Red Lentil Penne, Green Lentil Penne, Chickpea Fusilli, and Green Lentil Lasagne. I tried the Red Lentil Spaghetti. I felt these noodles had a nice flavor, but not the best texture as the noodles stuck together immediately and got hard after removing from the pot of boiling water. I saved some for the next day and when I heated them up in the microwave, they were actually softer than when I first boiled them. Funny how that worked. I liked them much better the next day! Next, I tried one of their Soybean Noodle Soups. 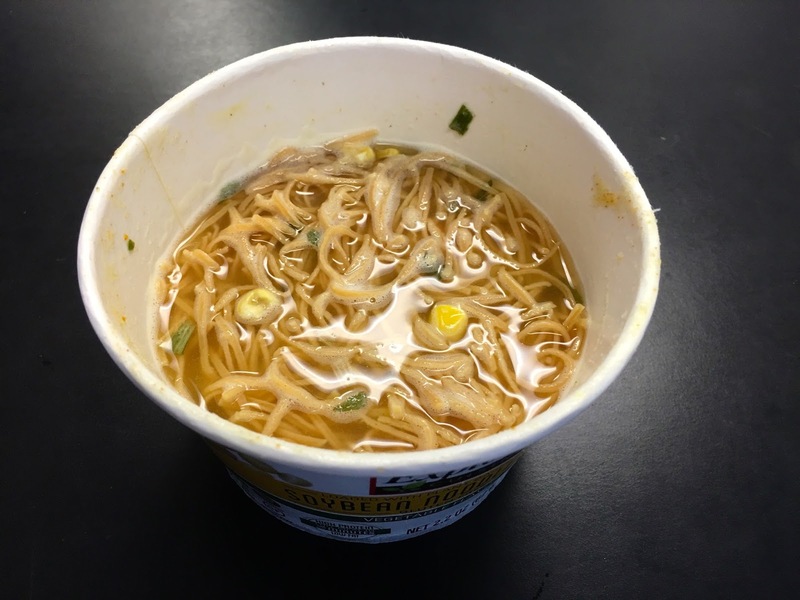 I did not love this soup. I guess I'm just not a big fan of dried soups anymore as I eat mostly fresh food nowadays. These gluten-free, vegan meals contain 20 grams of protein and only 3 grams of fat. But, they lack flavor. Lastly, I tried one of their Bean Pastas--the Edamame and Mung Bean Fettuccine. 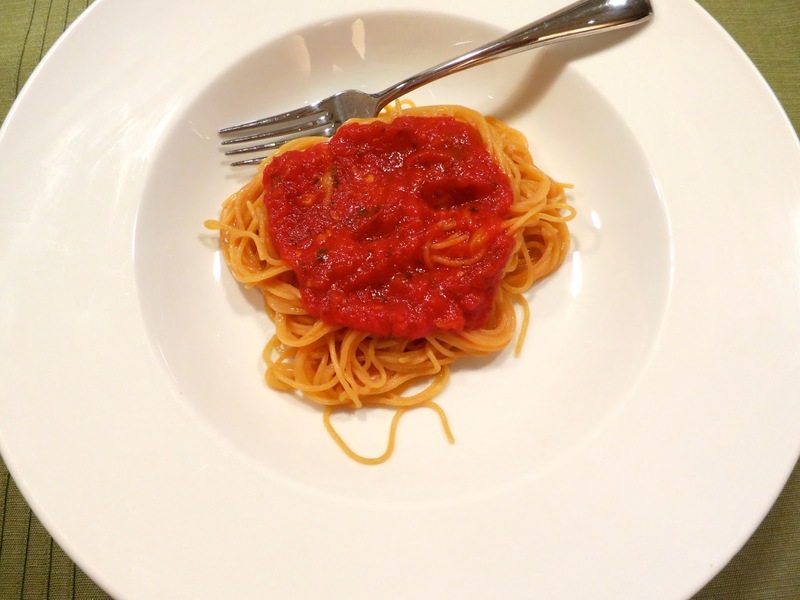 I loved this pasta! Made of just edamame and mung beans, these noodles were soft and had great flavor. 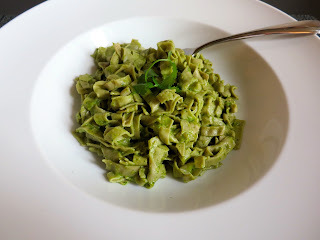 I just made the recipe on the side of the box that is made with avocado, cilantro, garlic, lime juice, and olive oil and it turned out great! Other flavors include Black Bean Spaghetti and Soybean Spaghetti. All in all, I'm excited about having more vegan and gluten free pasta options and can't wait to try more. To order the noodles on Amazon go here . They are also available in stores nationwide.